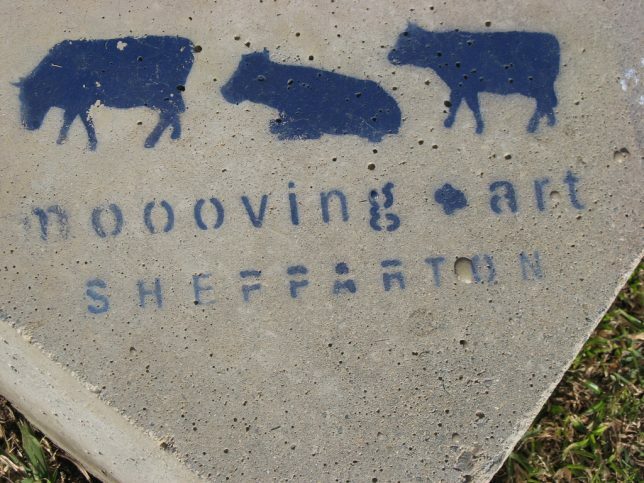 Following the pattern set by other noteworthy and successful public art initiatives, the Moooving Art project’s organizers reached out to local artists and invited them to paint one or more fiberglass “Shepparton Cows“. 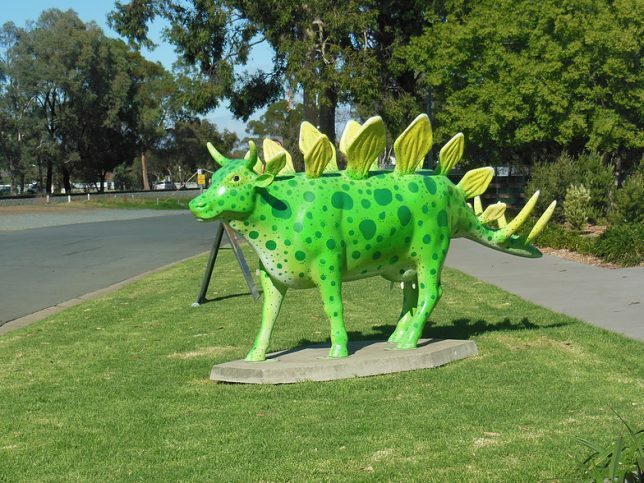 The bovine replicas were then deployed in recognized tourist locations throughout Shepparton proper and in surrounding townships including Tatura, Merrigum, Murchison, Dookie and Mooroopna. 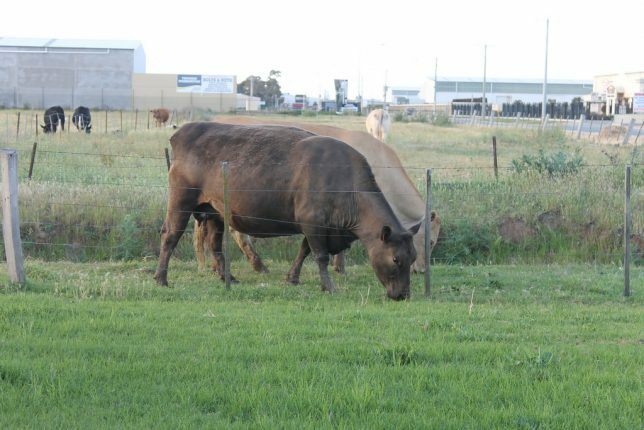 You “herd” that correctly: Mooroopna. 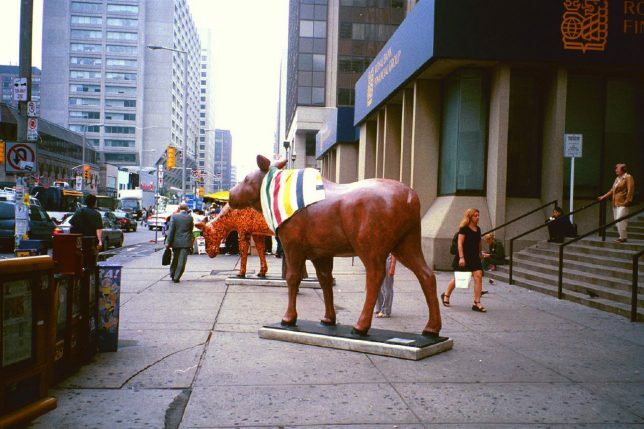 The Moooving Art project outwardly resembles Toronto, Canada’s Moose in the City, a year 2000 project in which 326 life-sized moose sculptures were placed throughout the city and decorated by local artists. 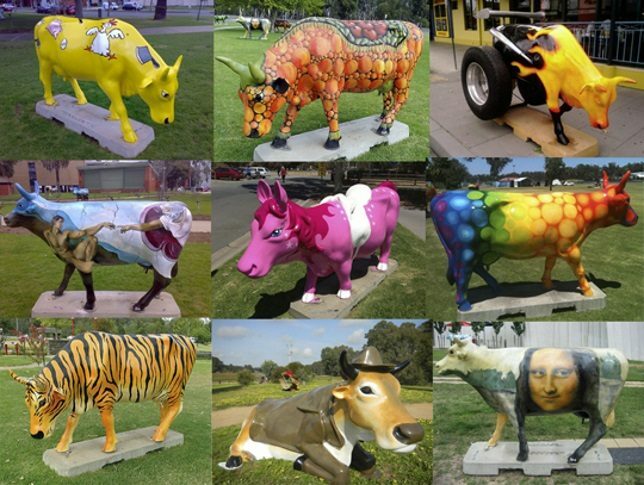 In addition, the horns on Australia’s creative cows are integral to the design while those on Canada’s metropolitan moose can be removed – and not always with permission. Flickr user Sunissa Shrimpton snapped the colorful Canadian quadrupeds above in September of 2007. 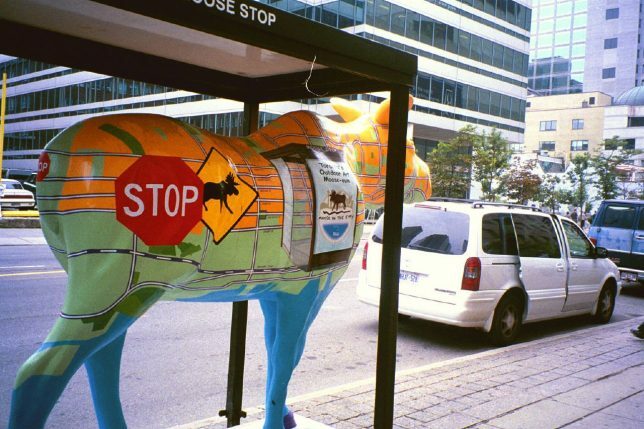 The Moooving Art project differs from Moose in the City in a number of ways, however: moose had & have nothing to do with Toronto’s economy, for one, and whereas the fiberglass moose were permanently affixed to their mounting stands, Shepparton’s cows are designed to be moved, er, moooved to new locations wherever and whenever project organizers see fit. Flickr user vance mcdermott gives us the inside view circa June 2007. 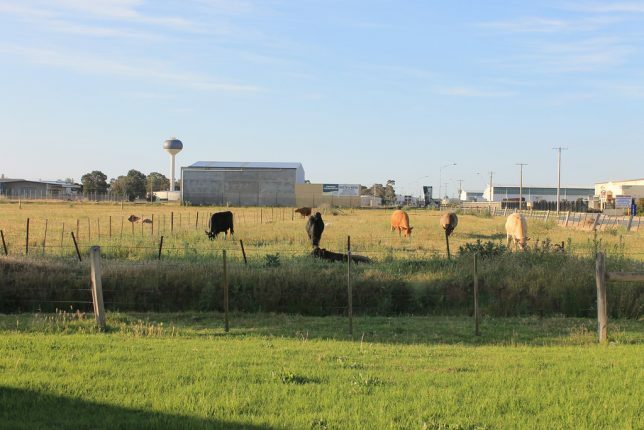 One of the most prolific Moooving Art project artists goes by the pen, er, brush name of Tank. 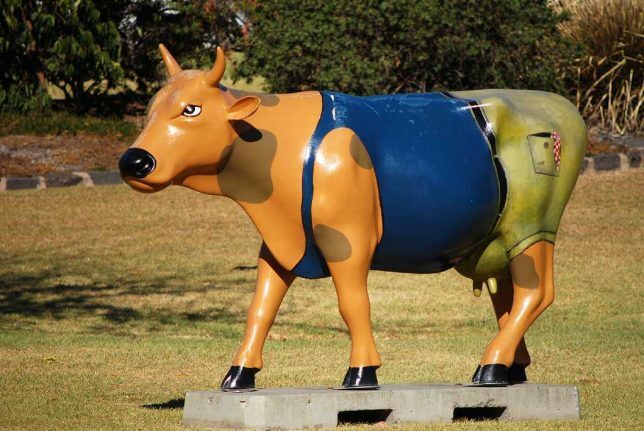 Over the years, Tank has contributed over 70 different designs including the totally awesome “Cowasauraus”. 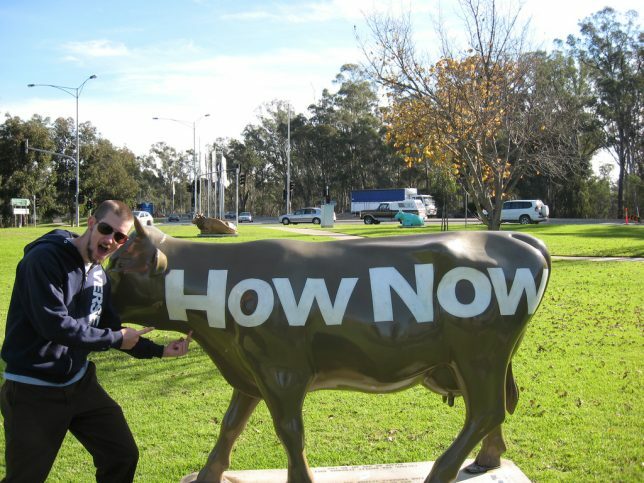 Try milking that, we dares ya!